Extending their long-standing relationship with the Sandvik brand, Porter Group recently announced their appointment as Western Australian agent for Sandvik’s range of mobile crushing and screening equipment. The new move, which sees the New Zealand-owned business extend its brand reach across the continent, is said to tie in well with Porter Group’s existing distributorship of Terex articulated dump trucks and the Hyundai range of excavators and wheel loaders in other regions of Australia. "We’ve been very proud to be associated with the Sandvik brand in New Zealand since 2009," Darren Ralph, general manager sales and marketing at Porter Group says. 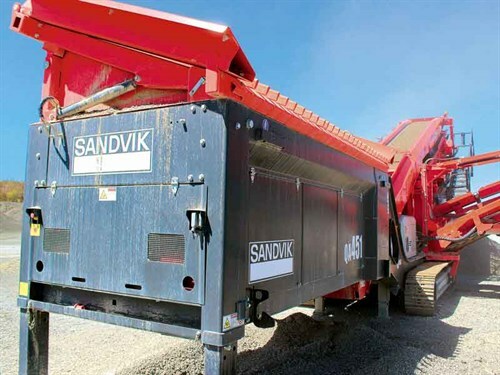 "Through dedication and hard work on our team’s part, we’ve built a solid reputation in New Zealand as the go-to guys for Sandvik mobile crushing and screening hardware. "Adding the large and varied Western Australian region presents a great opportunity for us and serves to illustrate the close association the Porter Group has built with Sandvik over time." With Western Australia playing host to a numerous quarrying, mining, and recycling operations, Sandvik’s model lines and strong reputation will prove a solid fit for many applications, says the newly appointed agent. "The move into Western Australia is a natural progression for Porter Group as a distributor in the Australasian region," Darren says. "It gives us the ability to further our reputation as the trusted provider of true end-to-end supply, service, and finance partnerships for industries on both sides of the Tasman."